Seeking relief from depression, anxiety, or stress? Needing help to repair a rocky relationship? Finding it hard to locate a counsellor in your area? At Cobb & Associate Inc. we offer not only in-person counselling sessions at our office in Calgary, but also online counselling services for all residents of Alberta. Stay in your home or office, and consult with one of our therapists over the internet using video-conferencing tools. Best suited for individual counselling and couples therapy. Online counselling services or e-therapy is easy to access from your home. Spend less time travelling. No need to drive long distances to see your therapist. Simply log in at your computer. Access the same helpful expertise as you would in person. Call 403-255-8577 to book an appointment. online counselling services or e-therapy at Cobb & Associates Inc.
Cobb & Associates Inc. is pleased to offer online counselling services, also referred to as e-therapy, to residents of Alberta, Canada. Online counselling is an ideal solution for clients who reside in areas that do not have ready access to face-to-face counselling services, or who wish to receive professional help and guidance from their own home or office. We conduct online counselling sessions over the internet using a webcam and microphone attached to each computer so that you can see, hear and speak to your therapist on your computer monitor from the comfort of your home or office. In the event that you do not have a computer available, e-therapy can also be conducted by telephone. Engaging in therapy by telephone or by webcam has a wide range of benefits, including: 1) more flexibility in scheduling, 2) reduced travel time, and 3) access to counselling services from the privacy of your home or office or from remote areas or when mobility is limited. In the case of telephone counselling, less ability to see important characteristics in communication such as detailed facial expressions or non-verbal gestures which are normally present in an in-person session. As well, certain situations may not lend themselves well to an e-therapy service delivery option. These types of cases include high suicide risk and domestic violence. Your therapist will inform you if he or she feels you would be better served by in-person counselling and will present alternative counselling options in such an eventuality, including local services. Generally, however, for a majority of situations, online counselling is a convenient, easy-to-access, and helpful solution for clients with limited access to counselling services in their home area. First: you will need an electronic device (i.e. a PC or apple computer) with a webcam and a microphone, hardwired to the internet (using an ethernet connection). While online counselling will work with a wireless internet connection, we recommend utilizing a device that is hardwired through an ethernet cable, since we have found that such a connection is often more stable and reliable than a wireless connection. Second: It is important to ensure that you are a secure connection, and are not using an unsecured router, which can be accessible to anyone who is in close enough proximity to use it. If your router requires a password to connect to it, it is secured, and you should be protected. If you wish to be sure, you can check by accessing the list of available networks that your device can detect. You will see your router near the top of the list, as it presumably has the strongest signal. It will either say "secured" which is what you want, or "open" or "unsecured". 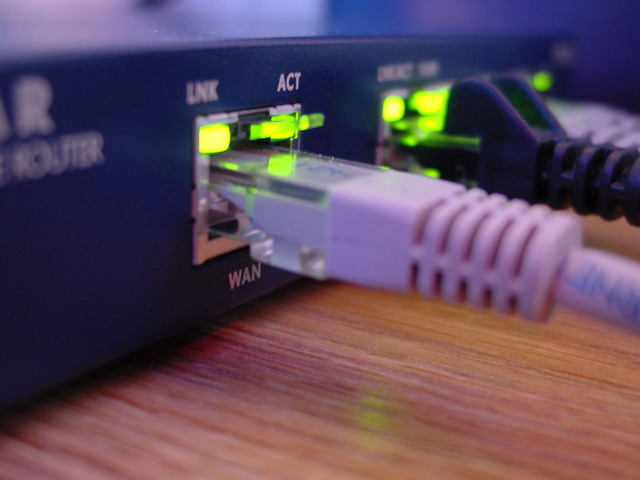 Ensure that your router is secured by 1) using an encryption key or password phrase to access your router, 2) changing the router default password that comes from the manufacturer, since the default password can be easily guessed and allow a savvy person access to your router, 3) use a WPA or WPA2 encryption key instead of WEP encryption, if possible, and 4) ensure that your router firewall is turned on. Click here for more information about how to ensure your router is secure while you are online. Third: You will also need to download the free software that we use for video conferencing. The software is called VSee, and is similar to Skype. It is entirely free. Simply follow the download instructions here on the download page. Once you have downloaded VSee you will be able to see and hear and interact with your counsellor just like you would on a Skype call. You can learn more about VSee here. Yes, one of the main reasons we selected VSee as our video conferencing platform for use with online counselling services is that it is secure. (See this article for comparisons between VSee and Skype; the latter of which is commonly used in the online counselling market place). VSee does not record on its servers any calls that take place between its users, nor does it have access to or store the decryption key that allows the encrypted signal to be viewed by anyone other than the users involved in the call. If you would like more information about the security of VSee and the confidentiality of information exchanged on VSee, please click here. step-By-Step Instructions for scheduling and completing an online counselling session at Cobb & Associates Inc.
A. Book an appointment. You can either call us at (403) 255-8577 and speak in person to our receptionist to book your appointment or use our easy online scheduler here at your convenience. Please be sure to select Diane Gibson as your therapist as she is our current e-therapy provider. B. Complete the New Client Intake forms. C. Complete the E-Therapy Informed Consent form. D. Scan the New Client Intake forms, and page 3 and 4 of the E-Therapy Consent form into your computer ahead of time. You will have an opportunity to share them securely with your online counsellor through VSee at the beginning of your first therapy session, simply by clicking on the scanned file in your computer's folder and then dragging it anywhere into your VSee window. If you prefer you can fax the forms to us ahead of time at 403-255-8570. E. Download the VSee software to your device and ensure that your microphone and webcam are working. F. A few minutes before your appointment time, log in to your computer, open the VSee software on your computer, and wait for your therapist to contact you. When you see that your therapist is calling, click on the "Answer" button and you will be connected. You are in a private and secure space, and that no one else is in the room with you other than those attending the session with you. Your computer is hardwired to the internet. Your microphone and webcam are working. You have provided emergency contact information in the event of an emergency. Your informed consent forms are completed and signed. During subsequent sessions, the checklist will consist only of the first three items. Payment is made by credit card at the conclusion of each session. You can either pay online using our payment link here or you can give your therapist your credit card number at the end of your counselling session and your therapist will give it to our receptionist the next day for processing. You will receive a receipt via email after payment has been processed.